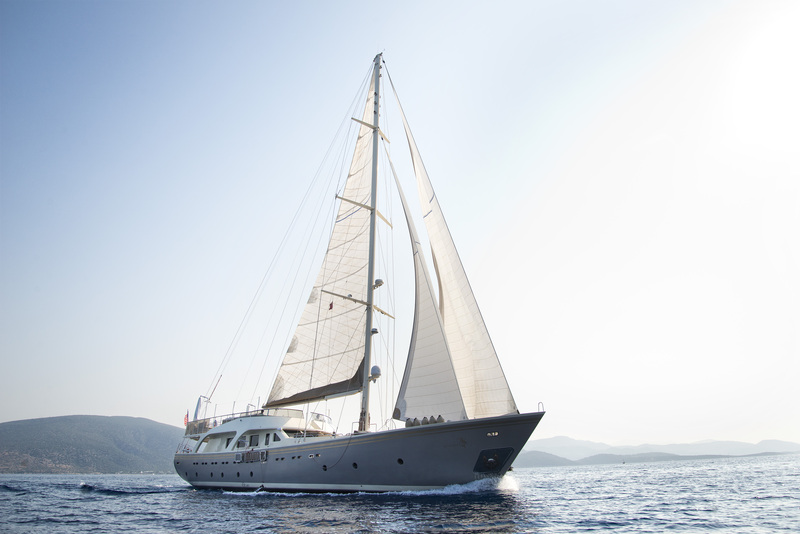 Launched in 2009 and refitted in 2017, the 33,70m (110’7’’) built sailing yacht MERMAID was delivered by the Turkish shipyard Umut Yillikci and features interior design by Milena C Designs. 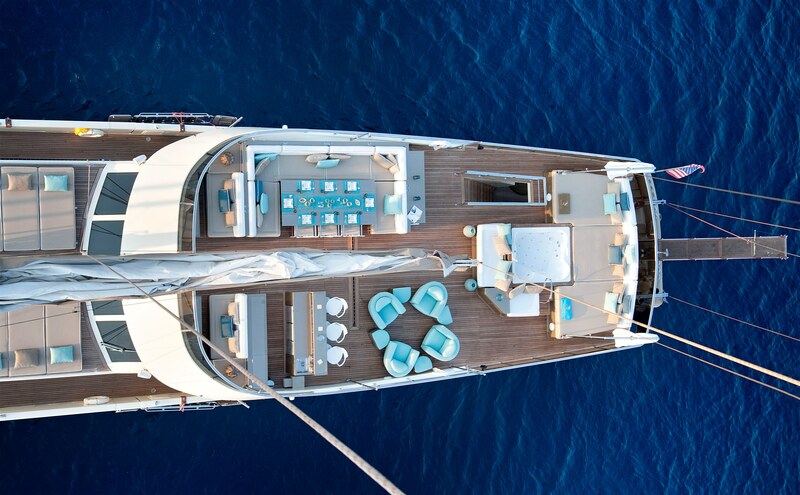 The yacht offers sumptuous accommodation for up to 10 charter guests, in 5 spacious cabins. 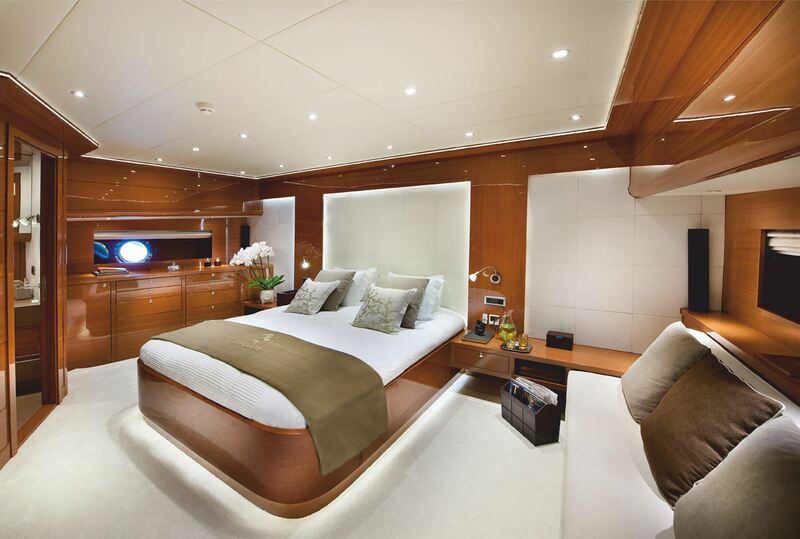 The interiors aboard are beautifully finished with high gloss panels, neutral furnishings and luxurious fixtures and fittings. 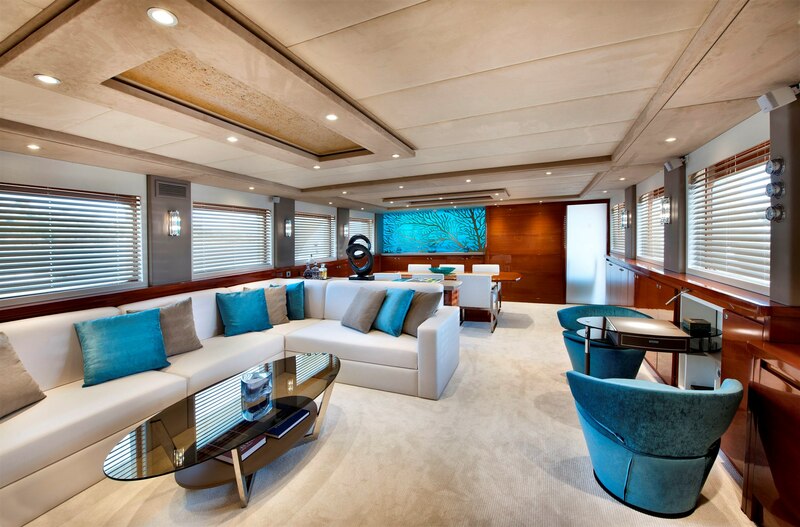 Her main salon is at deck level, providing fantastic socializing from interior to exterior, with ease. 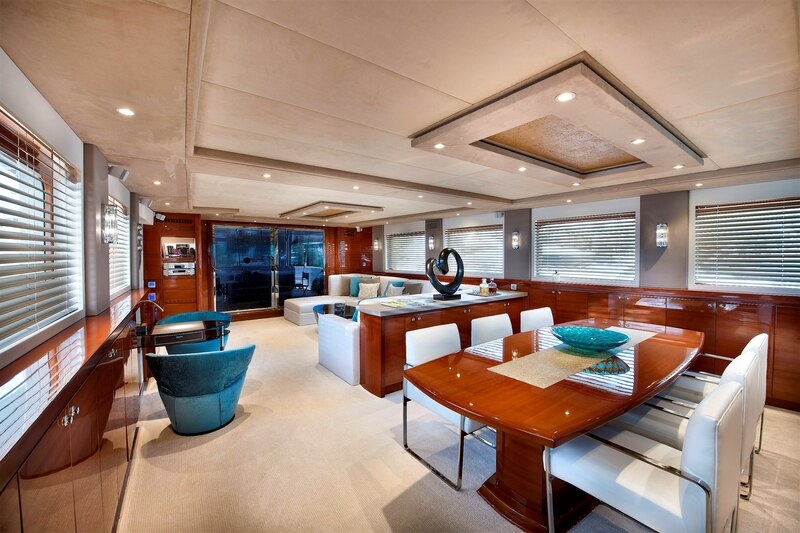 The salon and dining are set in a contemporary open plan with the lounge aft and formal table forward. Surrounded by large windows, the area receives plenty of natural light, while ensuring stunning views. 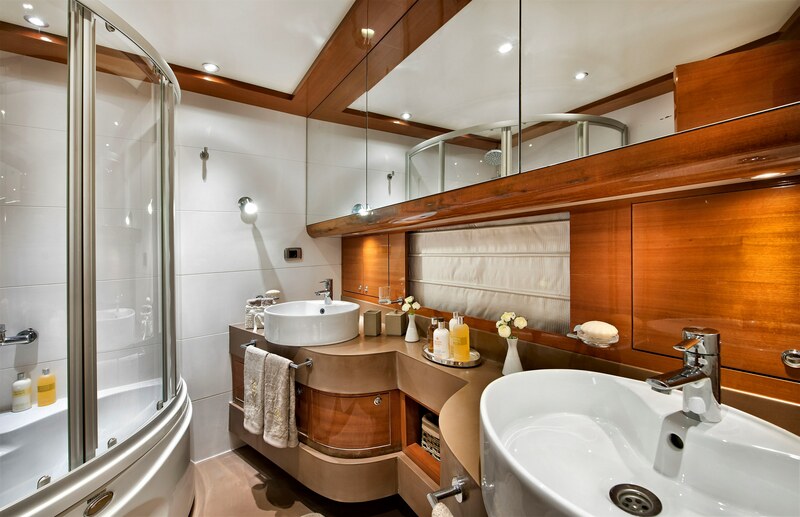 Accommodation is on the lower deck, in 5 well-appointed cabins. 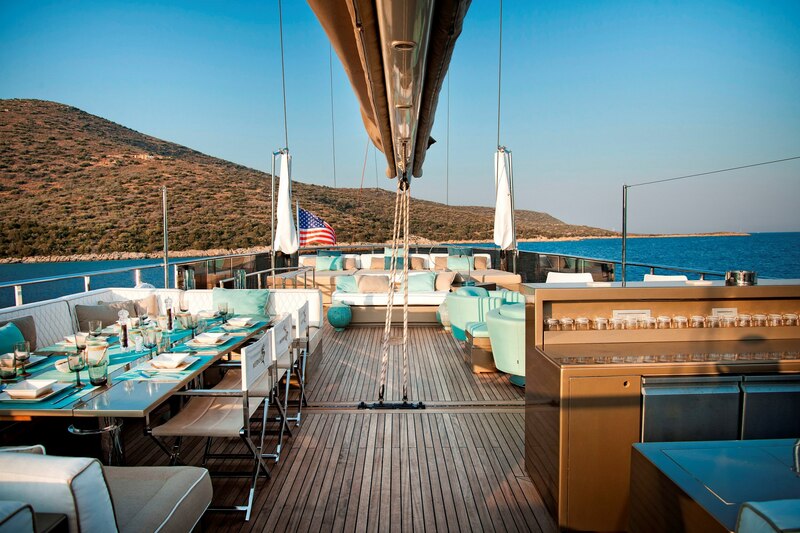 Two levels of teak decks provide an abundance of outdoor living, to entertain and relax. 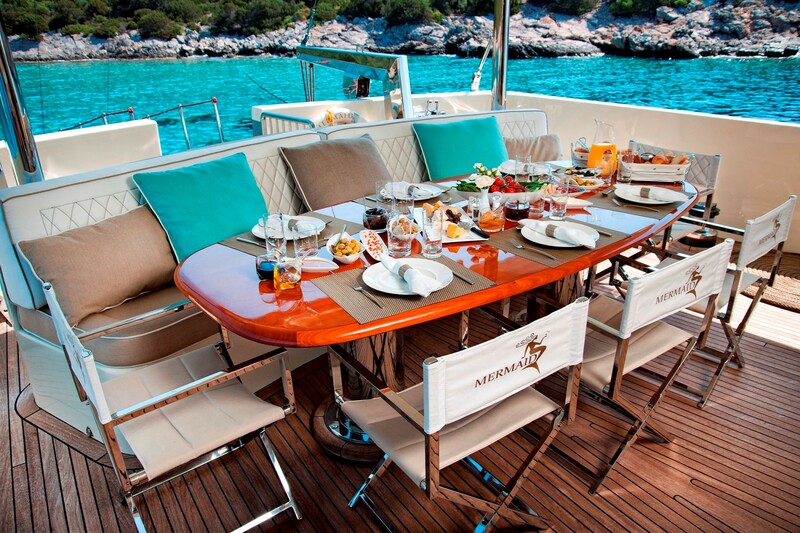 From the salon, the aft deck offers an alfresco dining table and comfortable seating, with an option to be completely enclosed if requested. 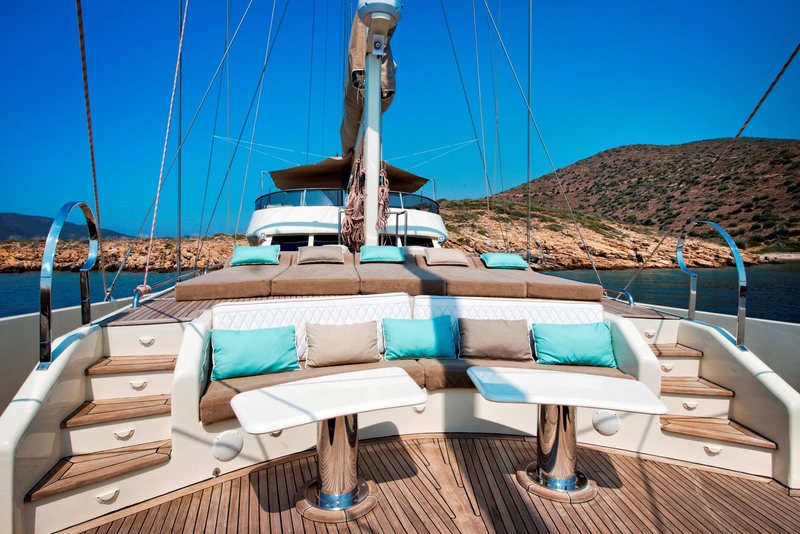 On the foredeck is further seating, cocktail tables and raised sunpads. The upper deck is sure to be the highlight, boasting additional sunpads, a Jacuzzi, exterior lounge seating, wet bar and alfresco dining. 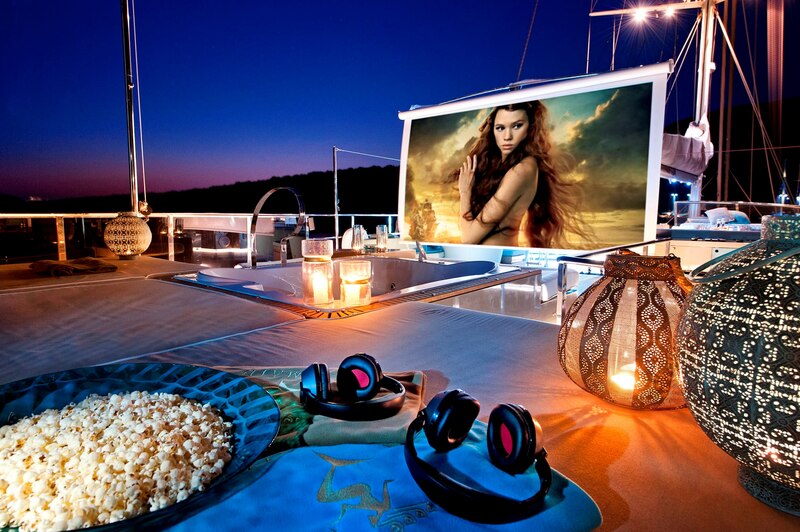 Powered by 2 x 450hp John Deer 6125 AFM01 engines, the yacht has cruising speeds of 10 knots and top speeds of 11 knots. The yachts rig is a Cutter. 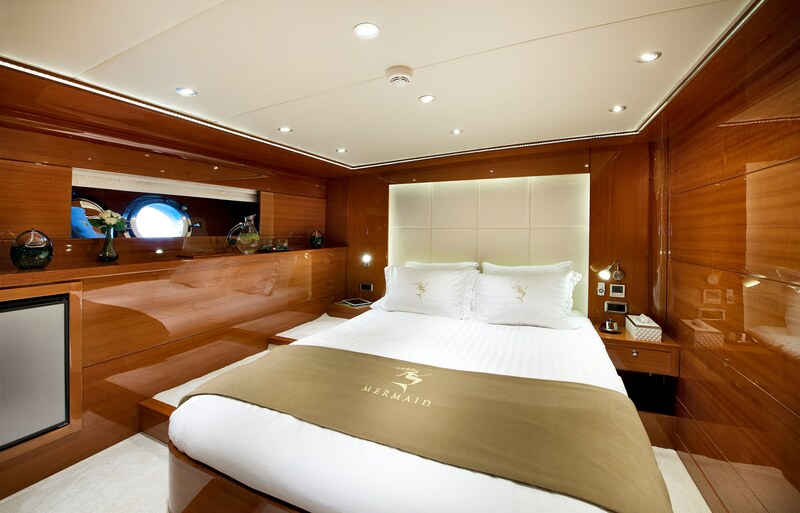 Accommodation comprises 1 master stateroom forward and full beam of the yacht, with a king size bed, sofa and large ensuite with tub. 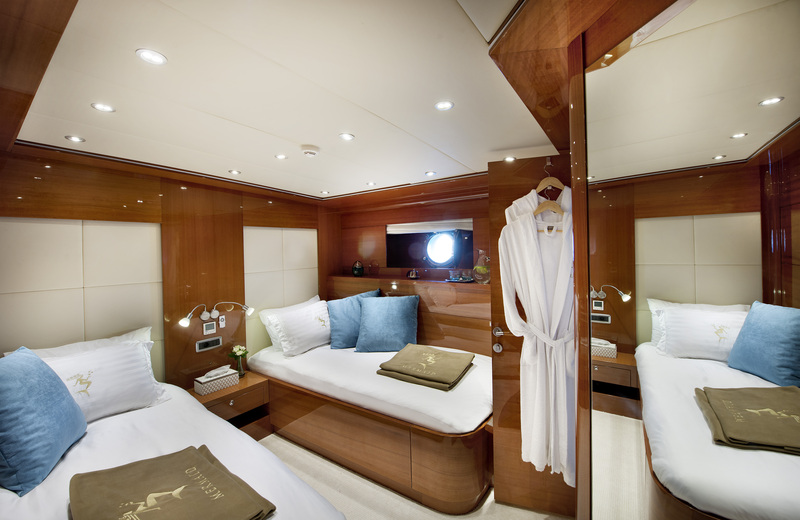 Aft there are 3 queen cabins and 1 twin cabin, each with private ensuites.